Entrepreneurs will soon have a place to build, fail and learn. Amazon, Apple, Disney, Google, Hewlett-Packard and Nike all began in garages. Starting this summer, Northwestern students will have a new space to develop ideas and work on building businesses. A nod to America’s entrepreneurial greats, this space will be called the Garage. “This is a space for students to collaborate, to come with great ideas, to build ideas and to fail many times and learn how to do that ... and in the process hopefully to create something incredibly good that will change the world,” says Alicia Löffler, executive director of Northwestern’s Innovations and New Ventures Office. The Garage, which is currently under construction, will be a collaborative workspace located in the parking garage structure on the north side of campus. The idea initially came from the Innovation and Entrepreneurship Committee of NU’s Board of Trustees and is funded entirely through donations, including $4 million from NU trustees Michael Ferro Jr. and Pat Ryan Jr. Slated to officially open June 16, the space is designed to bring together students from different disciplines and provide them with the resources to develop their ideas. “This is a space for students to collaborate, to come with great ideas, to build ideas and to fail many times and learn how to do that ... "
Linda Darragh, executive director of the Kellogg Innovation and Entrepreneurship Initiative, reinforces the hope that students from all areas of study will take advantage of the Garage. She says the best teams are those with students who come from a variety of disciplines. “The Garage serves ... as a place where students from across campus can gather, learn from each other and build relationships,” she says. About a third of the space will serve as an open workshop where students can work on projects and discuss their ideas. It will also host entrepreneurial classes, clubs, workshops and other programming. The rest of the space will be reserved for students involved in the Garage’s venture residency program, which will give student teams special mentoring and networking opportunities in addition to 24/7 access. The Garage will provide a space where students can learn the mechanics of running a startup. As of yet, the Garage has not chosen a director. Once one is chosen, he or she will begin to shape more specific programming for the space. 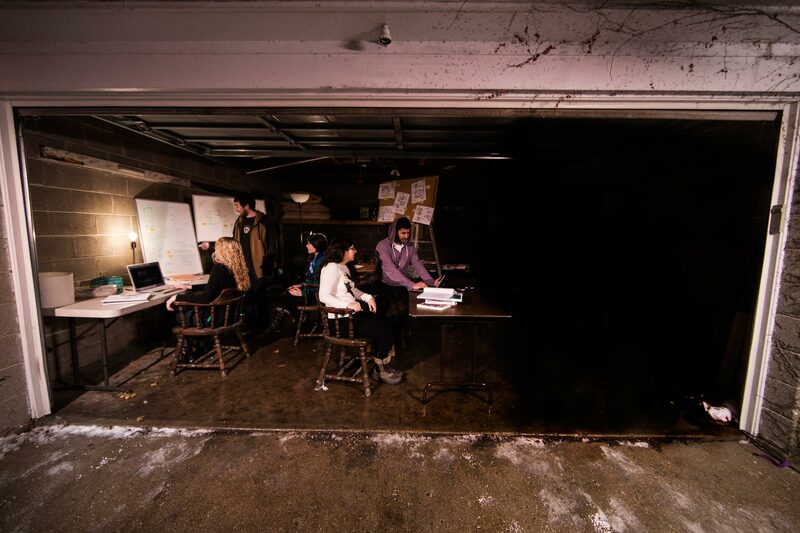 Suzee Han, a Weinberg senior and co-president of Northwestern’s entrepreneurial student group EPIC, says she hopes the Garage will help student entrepreneurs overcome common startup challenges. According to Han, finding mentorship and recruiting like-minded students are common startup challenges. The hope is that a company will come out of this space, but Löffler also stresses the importance of giving students a place where they can fail. Currently, entrepreneurial students work in the Design Studio inside the Ford Motor Company Engineering Design Center, which Han and her fellow students call the “hub.” She says it does have its limitations. The space is a public room, which means it is not always available or large enough for some events. Han hopes the Garage will be able to address these problems but is also concerned the new space may still be too small. Michael Marasco, who oversees the Farley Center for Entrepreneurship and Innovation and serves as the executive director on the Garage’s search committee, advises students not to rely too much on the space. Darragh sees it as a venture that will develop over time.